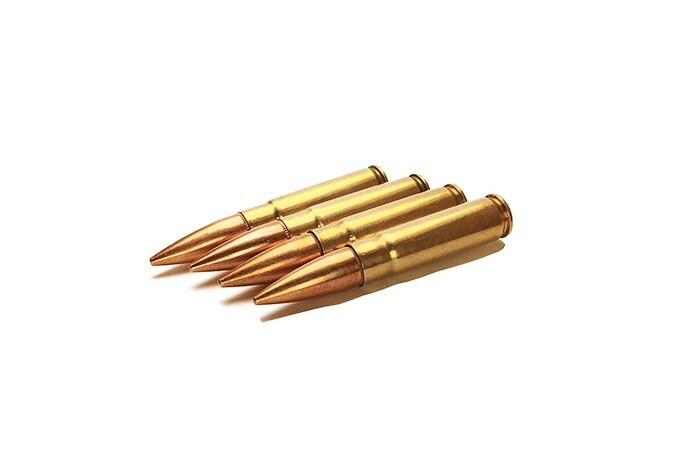 Stryker 300 AAC/BLK - Supersonic ammunition with a M80 147 Grain Bullet, Lead Core (Gilded Metal Jacket) & Brass Case. Manufactured at American Marksman’s facilities with the same Lake City Brass & Bullets that our Military uses. Meets SAAMI specifications. Projectile is magnetic. Some cases may have LC or FC Head Stamps. Bulk packed to bring real quality at affordable prices. I purchased 500 rounds of this ammo last month, and I am very happy with it. I fired about 90 rounds and they chronograph an average of 1897 fps. Because of the good price and fast delivery I just ordered another 1000 rounds. Read a few reviews that didn't speak very highly. I don't see the problem with the ammo though. Ran perfectly out of my 500 dollar American Tactical rifle. Will buy more soon. Great ammo that works and good price. No need to buy new ammo for me anymore ! Can't beat the price for the amount of rounds. Rounds look good and they all fired. What else can you ask? Quick shipping too. This ammunition provides great groups for me off-hand at 25 and 50 yards out of my 10.5 inch heavy barreled AR pistol. I have noticed minor differences in seating depth, but I haven't had a single malfunction and every shot has been consistent for my purposes. Highly recommended for practicing at the range. Just bought 250 rds of this stuff and WOW. Was out doing some plinking with my 10.5 and this stuff was as good or better than the Remington 120gr that I had. Just shot up about 100 rounds of 300BLK out of 7.5inch AR platform. No issues at all, good ammo, super fast shipping. Looking forward to subsonic 300's ??? Will purchase again!